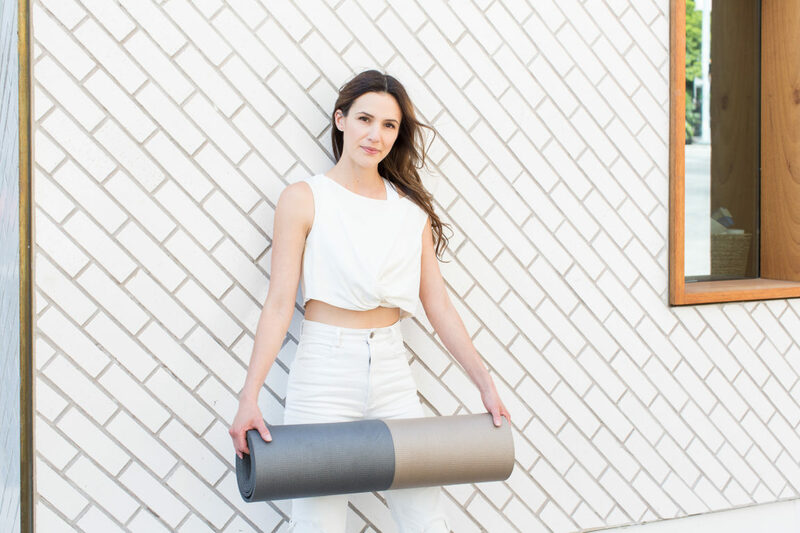 Healthy Body Yoga is a 20 minute full body practice that cultivates a strong and healthy body while inviting you to go inward and connect to what feels good. Use it to establish a regular home practice that serves. Tap into the core, open the hips, create stability and grow your practice. If you want to look good and feel good, you have to tend to all parts. This practice will help you tend to your whole body. And when you feel good, you look good. A work out you can ENJOY! Thank you for all you do!! Thanks for the support and encouragement. God called. Said you’re doing a good job. Keep it up. Do you have a yoga routine to share for someone who just had back surgery? I just had a microdiscectomy (L5/S1) and I’m just starting physical therapy. Would love a quick yoga routine to help me ease back into movement. I love your videos and email messages. Thank you for introducing me to yoga! I am a subscriber (and serial stresser) and particularly enjoy your Empower heart pumping series. It’s such a great way to sweat and get out frustrations of the week. I was hoping you might consider posting more of these. It’s like your e-mail today was sent specially to me. I just started a new graduation in college and for 3 weeks I wasn’t able to practice more then 3 or 4 times. I’m always running between campi, always late for classes and have no time to study, and in the and of the day I get inside my car and cry, cause I’m not keeping up with the classes like the 18/19/20 year old’s are. And I wasn’t practicing. I’m not myself when I don’t. And after reading your e-mail I had to ask myself why wasn’t a practicing by myself. My mat is always in my car, I don’t really need to be inside of a room with a teacher to do it. Thank you so much for this. You are always enlightening me in some way. Dear Adriene, wonderful as always. Yeah, there is no thing that is more important for a human than to cherish that relationship. I had a moment of pause (which you mentioned in a mail) this week and it truly works. Always works. That’s the key. Lovely and just what I needed to stiffly and rustily come back to my practice. My wife and I love your videos. We do yoga with you together every morning. We know that you got your start teaching kids yoga. We are wondering if you have any kids videos we could practice with our two grandsons, Landon (3) and Levi (1)?? They do some yoga at their daycare and know how to do down dog and childs pose very well. Thanks for being a great teacher! Hi Adriene! Thank you so much for this amazing experience. This healthy body yoga is a good one! FWFG has really been a learning and growing experience on and off the mat. Blessings…. This email and video came at a great time. I have been wondering how to continue yoga with a broken toe. Balance poses and poses that have me on my toes (i.e. plank and down dog) are painful. What are some suggestions on how I can modify my practice during the healing process? I was part way through the Revolution series when the toe incident went down! Your style and videos are great and you speak to me as my best friend would. Thank you for your time and the videos! My name is Katherine. I have been practicing yoga for a couple of years now, and I am a long time viewer of your yoga videos. I’ve seen that you’ve done numerous videos for healing. Would you be able to do some for patellar tendonitis. The thing is that I grew too fast in a short period of time and it’s really hard (for me) to get on the mat. I love yoga because I can live in the moment. And when I’m on the mat I can relax which [naturally because of my legs] I cannot do as often as I would like. And so, it would be very helpful and I would be very appreciative if you could make a video on positions that can be done. New yogi here. I recently finished up Yoga Revolution and am starting to look into the other videos that are available here. Practicing yoga has increased my self love, confidence, and breathing. Unfortunately, I also seem to be experiencing increased foot and knee pains/cramps. As someone who has always walked with my feet pointed out, I have really been paying attention to keeping my knees and toes aligned and facing forward. Any suggestions on how to show a little more love to my feet and knees, or how I can prevent these pains in my practice moving forward? Thank you for the constant support and friendship! I’m hoping you could give me some advice. For over a year now I have subscribed to your amazing videos and they have helped me grow but I still seem to struggle with child’s pose. I see improvement in other poses but with child’s pose I find I am leaning forward. My derriere doesn’t connect with my heels and when I place my hands at my sides all of my weight leans forward and then I feel the pressure on my forehead. I started practicing yoga with you in 2014 after my daughter introduced me to your you tube site. I have back and knee issues, but your practice has improved my overall well being. Since then I have taken you to Quebec while at a conference, South Korea to see my daughter in Seoul, Fort Worth while caring for my mother, and San Antonio for anther conference. Let me just say you travel with me wherever I go. I feel better, and am doing so well because of you. I just wanted to thank you for what you have taught me with your practice. Thank you, Thank you. Namaste. Loved your email today. I started my yoga journey over 60 days ago. I have commited to doing it the rest of my life. I was going real strong, twice a day, relaxing bedtime yoga at night, whatever I feel like during the day. Well, we just moved. Holy cow the boxes! Boxes and clutter every where, overwhelming. So for almost a week I had no where to do yoga! My body was sore from the lack of stretching and yoga love. My dear sweet husband spent the weekend clearing the living room and last night I started again! Even if it is just 15 minutes, my brain and body both need a yoga break. So, no excuses! Thanks for the reminder to keep at, keep it a priority. It certainly is. Said a little prayer and sent some love and gratitude your way today. Thanks for all you do. Namaste. what a blessing and what a shining force of love you are. Have been doing your videos since early January daily ( except 2 days off for easter) and I feel amazing. I am a little overweight and my struggle is sore wrists, specialy after alot of downward dogs..I am really pressing upwards and focusing on pressing index finger and thumb down..also quite heave chested so alot of weight on my wrists. Would you consider doing a video for overweight people with possible adoptations that you would recommend? Would be so wonderful!! Thank you! Your ability to share your beautiful spirit with viewers across time and space is even more revitalizing than the practice, and the practice is energizing too. Namaste. Thank you Adriene, your videos get me on the mat much more often than I used to on my own. Hi Adrienne! I absolutely love your channel. I love your approach to yoga and how empowering you are to everybody watching your videos. I also really like that you have so many themed videos, like yoga for back pain, mornings, or a bad mood. I was wondering if you would ever consider doing a video on yoga for overweight people. I don’t mean gentle yoga, more the poses themselves. Sometimes I have a hard time doing a lot of the poses because my body is too big to reach somewhere or fit a certain way. I thought it would be cool to see you address that for us bigger viewers. It could be really cool Thanks for your time!! Adriene! I love your videos. I travel a lot for work and you go with me wherever i go and keep me fit and focused around the globe. To date I’ve done yoga with you in Senegal, India, Ethiopia and Turkey. How about that!! You are a fabulous and I thank you for all your videos. Keep them coming!! I absolutely love your style of yoga. Such an inspiration. Thank you for sharing your wonderful techniques. You are such a gift, Adriene! I found you via a Google search several weeks ago and liked you the moment I saw you, so decided to give Yoga a try. I am a 55 year old, overweight woman. I have lost 50 lbs., over the last year, but seem to have plateaued. I have a great cardio routine, but wanted something else. I am so glad I found you! While I am not at the expert level, I do stay with each video and feel great for doing so. I sometimes do two in a row, i feel so good! I have had a terrible stiff neck and accompanying headache for several days (I rarely get headaches). Today, I did two of your videos and felt a bit better. I decided to do the Healthy Body video, since it focused on the spine. My stiff neck and headache were gone within the first 10 minutes! Thank you, for sharing your expertise and for sharing yourself! You are such an inspiration! I have told all of my friends about you and sent them to your website! I have been doing your videos for a few months now and feel so changed, thank you! Yoga has been trickling into my life but now it’s right at the core and I can’t ever imagine letting that go. I love your videos, the variety, the love, and all the spiritual guidance. Thank you! Thank you for making yoga easy, challenging, fun, calming, comfortable, uncomfortable, and just plain good. Every time I do it, I get better at feeling and listening to what’s going on in my body. Best wishes for the holidays and your New Year. I am 56 and began with your 30 day challenge mid Feb to help lower blood pressure. I lost 10 pounds and I feel fabulous. I feel stronger and healthier. I treat myself to your videos everyday by having to do 30 mins of cardio before I can do yoga . You are amazing and I am thankful you are willing to help those of us who want to workout at home. i feel great after your practices. Thank you.